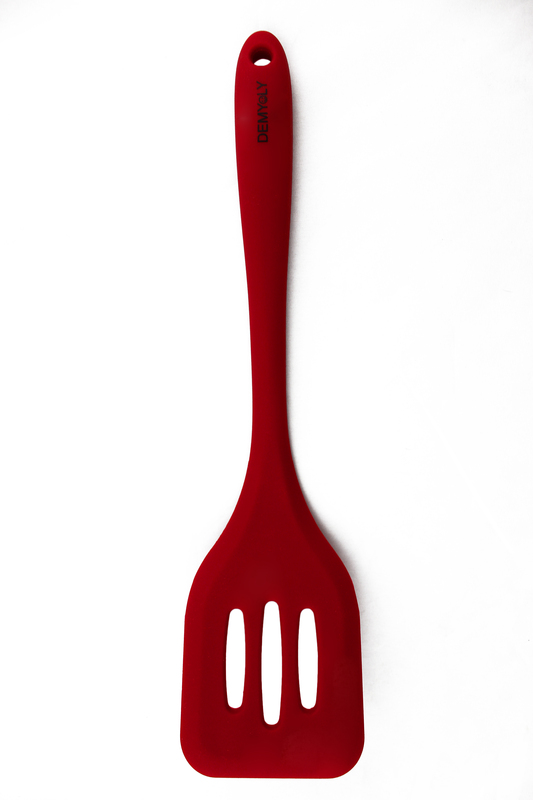 I just got this great silicone spatula from Demyly. This is a really nice spatula. It has a good sized handle so you can easily handle it and use it to turn items. It’s made of silicone that is food-grade. Silicone is a great material for the kitchen because it can withstand high temperatures and is non-stick. Has a hole in the handle so i can hang it if I want. Has a nice wide face on the spatula so you can turn larger items. I can even do pancakes with it. I love to cook and I’m always in the kitchen. This is one of my favorite spatulas.